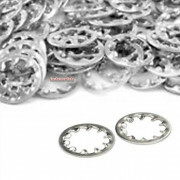 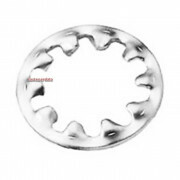 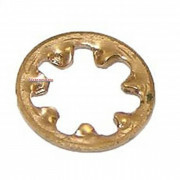 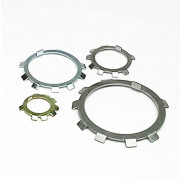 ShakeProof Toothed lock washers are used with screws and nuts for electrical connectivity and for anti back off locking action. 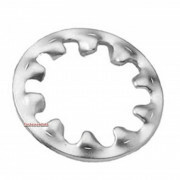 The teeth are formed in a twisted configuration with sharp edges. 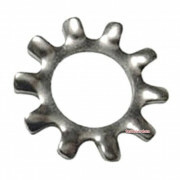 One edge bites into the bolt head or nut while the other edge bites into the mating surface.